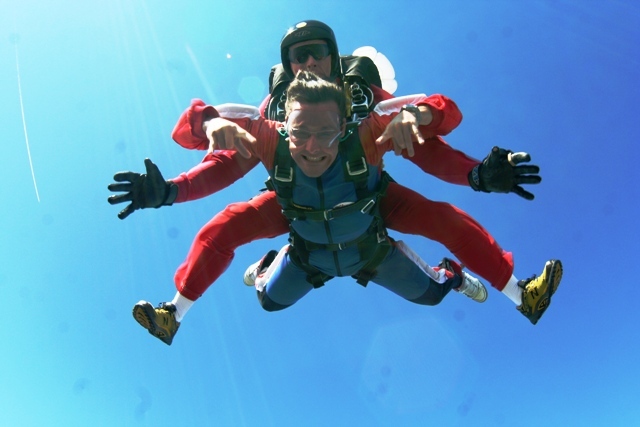 First of all a tandem jump, a remarkable and adrenaline-packed experience that is intended for almost everyone. 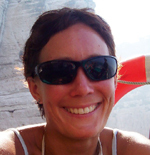 It consists of a short training ground, watching instructional videos and getting familiar with a tandem pilot. 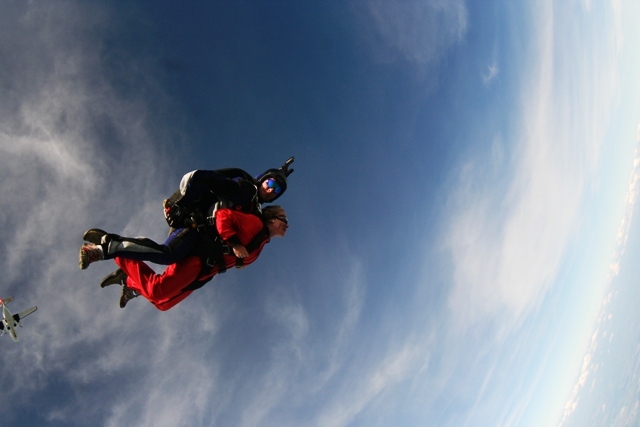 It is followed roughly by a 20-minute flight during which you gain the necessary height for a tandem jump. When you reach 4000m you are ready to jump. You will be firmly strapped to your tandem pilot and will experience about 50 seconds of freefall. You can easily reach a speed of 200 km / h. However that’s not the end of it. Once your tandem pilot opens a parachute at 1500 meters above ground, a beautiful flight of about 6-10 minutes on a tandem parachute awaits you. If you wish, you can try to steer the parachute under the supervision of your pilot. He will land softly with you in front of the terrace of the restaurant where your friends can be waiting for you. 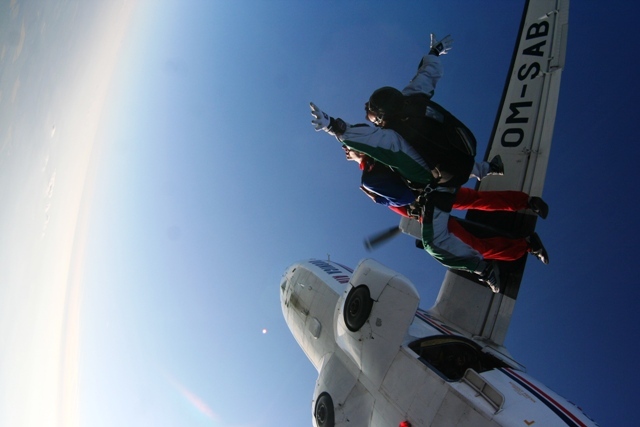 A tandem jump can be easily ordered by a voucher. It can be also given as a present with the possibility of personal wishes written on the voucher.